Best travel guide for Shikoku Karst located on the border with Ehime and Kochi. 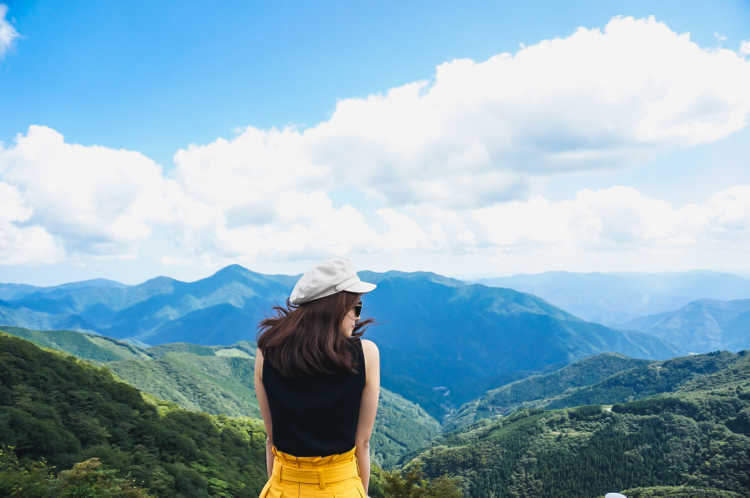 It's one of the three greatest karsts in Japan, and a popular tourist spot to enjoy great nature spreading as high as 1400m above the sea level. 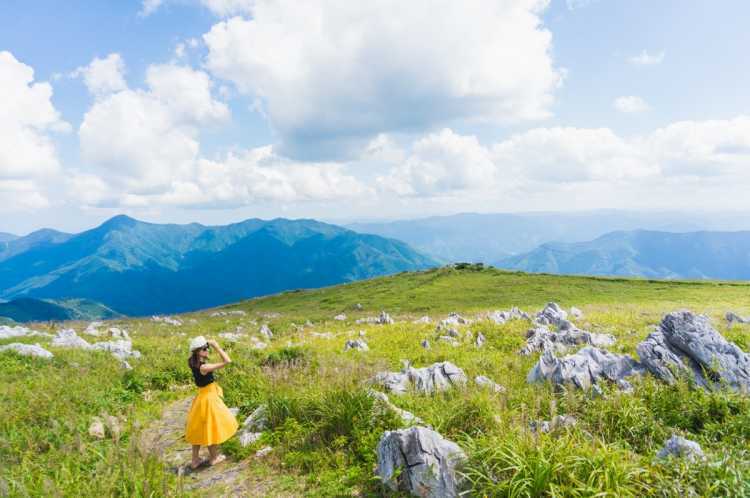 Then, we selected places to go in Shikoku Karst from among 'special places to travel in Japan' that were posted in City's Pride by travelers who have actually been there. One of the three big karsts in Japan, Shikoku Karst lies in 1400 meters above, which is the highest, and spreads both Ehime and Kochi. On the side of Kochi, Tengu Kogen (Highlands) has lush pampas grass and limestone rocks, the mountain chain in the behind. You can enjoy the great nature in the sky!◎On the Route 383 from Kochi, 5min by car after going through Tengu-sou. There're parking space for about 10 cars on the left side. And climb on foot about 3min. For accommodation and restaurant, Tengu-so's biggest attraction is the view from 1400m above the sea level. It's so high that we have an earache when we drive up without stopping! It stands on the border of Ehime and Kochi Prefecture. You must feel relaxed by nature around you.◎In addition to a accommodation, there're a restaurant, shop, bathroom and vending machine as a base for sightseeing in Shikoku Karst. It has a spacious parking lot. One of the three biggest karsts in Japan, Shikoku Karst is located at more than 1000m above the sea level, and has magnificent nature. Among this area, Godan-kogen Highlands is the most beautiful spot where you can see Ishizuchi Mountain and panoramic view of karst. And, don't forget, cattle!◎Along the Route 383, the western side of Tengu-kogen Highlands. You can find the signboard of Godan-kogen Highlands. Located at Tengu Highlands, Tengu-sou is an ideal place for tourist to take a rest and eat lunch. It's truly a sky restaurant that commands the wonderful view from 1400m above sea level. 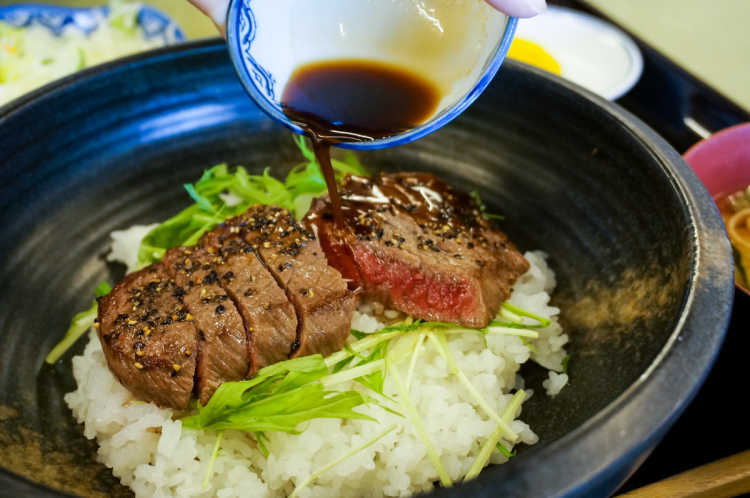 You can eat Kochi's local specialties such as Tosa Beef steak.◎They prepare full variety of the local meats such as Tosa Beef, Shimanto Pork and Chicken. For souvenir, 'Manten no hoshi daifuku' using much of the local Houji Tea is good. Shikoku Karst is the most highest among the three famous karsts in Japan. Many cattle walk around and wind power generation goes around at this area called Mezuru-daira. For its campsite, here's one of the popular spots.◎Mazuru-daira, belongs Ehime and western part of Shikoku Karst, has accommodations and campsite. It's also nice place to take pictures. One of the three greatest karsts in Japan, same as Akiyoshi-dai in Yamaguchi and Hirao-dai in Fukuoka. It's located on the border of Ehime and Kochi. And it's on 1400m above the sea level, which is the highest Karst in Japan.